The Aberdeen Press and Journal reports today on Gary Campbell's recent comments about the lack of Nessie sightings since 2012. In response to this, a retired Royal Mail worker by the name of Ken Ross, contacted him to recount his sighting and his four photographs from October 25th 2012. His story begins as he was driving from his home in Inverness to Fort William and as they passed the village of Inverfarigaig. I can't really add much more at this point. The location itself is a highway for cruise boats, but the witness says he saw none and was convinced it behaved in a way different to a wake. Indeed, boat wakes don't just stop, they just dissipate slowly. I have seen a couple of videos like this recently which show some unusual surface activity without anything solid revealing itself. I refer readers first to a video below from April 2010 which I highlighted some months back by way of comparison. Also, there follows a strange water disturbance filmed from the tower of Urquhart Castle filmed on the 24th August 2010 near the location of the first video. What these could be is a matter of conjecture and may all well be classed as having the same cause (hat tip to jimmy_sher for second video). And for those in the comments section, this photo was requested. Cryptid researcher, Paul Cropper, has unearthed another gem with this painting from 2007 of Champ done by the famous Sandra Mansi who took a picture of the creature back in 1977. Compare this painting with the actual photo below. 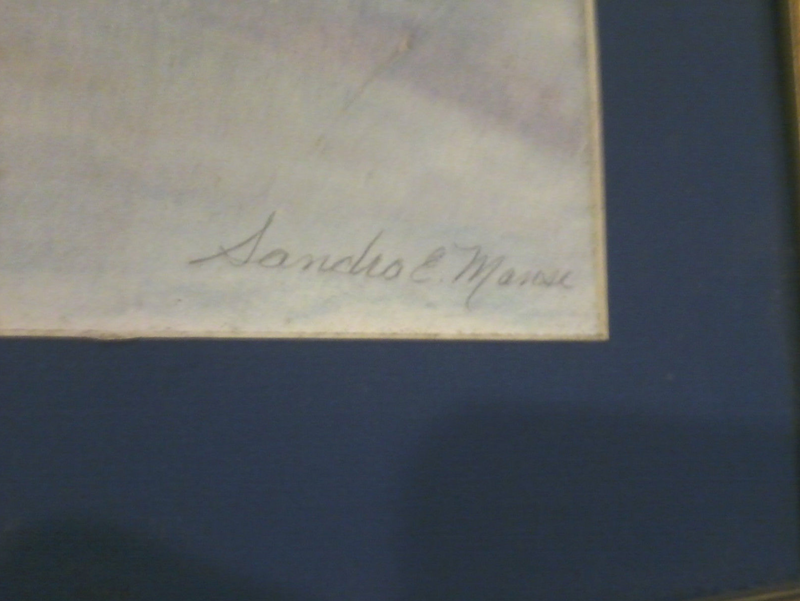 Paul thinks the painting is somewhat Brontosaurian in nature and Sandra may have used some dinosaur painting as guidance. The two great cryptozoological mysteries of the age, the hairy hominid stalking through the North American forests and the large creature swimming in the inky blackness of Loch Ness. They have vied for the top cryptid slot for decades. But, in recent years, Bigfoot has certainly been to the fore of public consciousness thanks to its presence in the United States of America with the resources, zeal and "can do" attitude of ordinary Americans who form an army of hunters and researchers in the subject. Bigfoot websites outnumber Nessie websites and perhaps also the number of people who accept its existence. However, recent events in the Bigfoot world have got a casual Sasquatch believer such as myself taking more notice. I refer to the controversy over the alleged Bigfoot shot by Rick Dyer over a year ago. This event apparently happened as he took part in the filming of a British made documentary called "Shooting Bigfoot" which will hopefully soon be broadcast on the BBC's BBC4 channel as part of their new "Storyville" season. Towards the end of that documentary is a claimed scene of Dyer racing out of his tent in underpants to shoot the seven foot creature dead. There is also an alleged scene of another Bigfoot assaulting the film producer, Morgan Matthews, and leaving him with a noticeable black eye and other injuries. 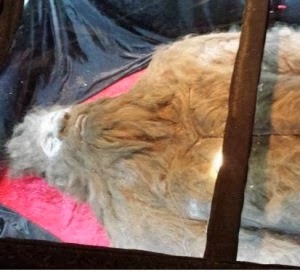 However, Dyer has a serious credibility problem in that he faked another dead Bigfoot back in 2008 and is generally disliked by other Bigfoot researchers for his arrogant manner. In other words, even the majority of the Bigfoot community are lining up with the usual sceptics to condemn him. In a sense, Dyer is the Frank Searle of the Bigfoot world. Dyer says he has the taxidermied corpse and is beginning a tour with it. So you have a documentary with some kind of footage and a stuffed animal. Whether you believe it or not, this is going to prove very interesting. Rick Dyer claims there is a forthcoming press conference to announce findings of an unknown university's examination of the corpse. His cause is not helped by the postponement of said conference on Sunday. The longer this drags out, the bigger the doubts. 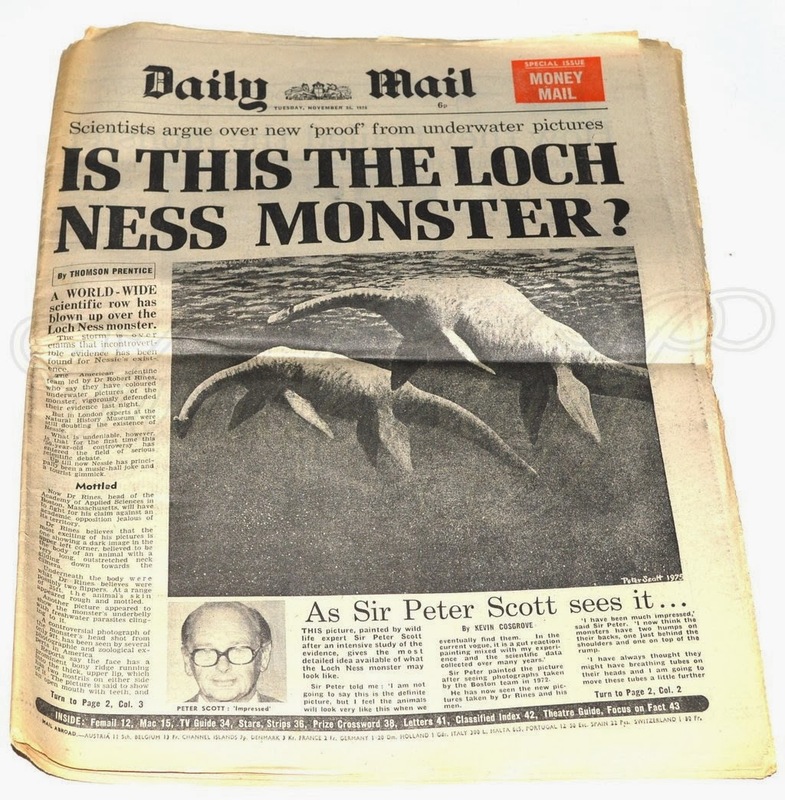 I can't imagine a "Shooting Nessie" documentary. Firstly, you need a very good reason to own and use a gun in Britain and, secondly, even if you shot one in the water, it would most like sink without trace and without hope of recovery. 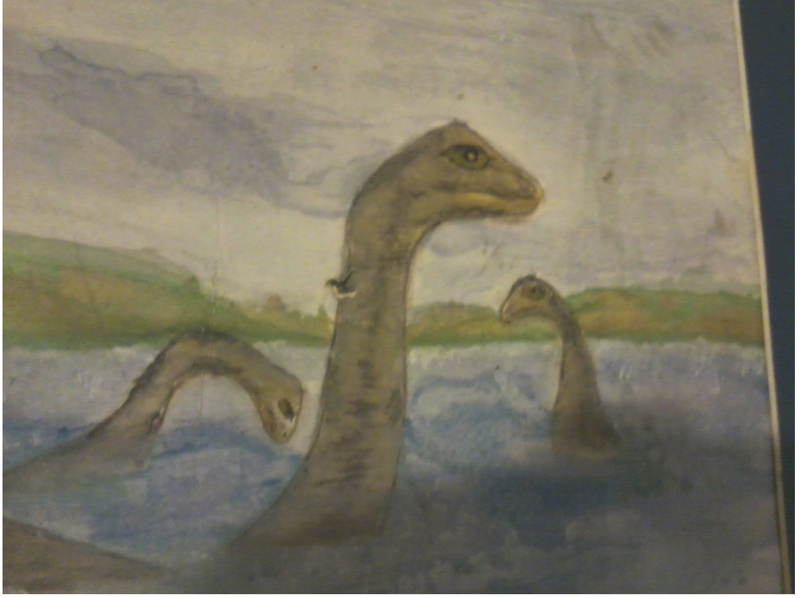 Mind you, a "Finding Nessie" series has some appeal. So, is it a mockumentary backed up by a fake Bigfoot body or something else? Either way, it makes for good reading. If he has the real deal, cryptozoology will never be the same again, but don't hold your breath quite yet! On another point, scientists now say they can count whales from space. If they think they can do it with whales, why not Loch Ness Monsters? See this BBC article. 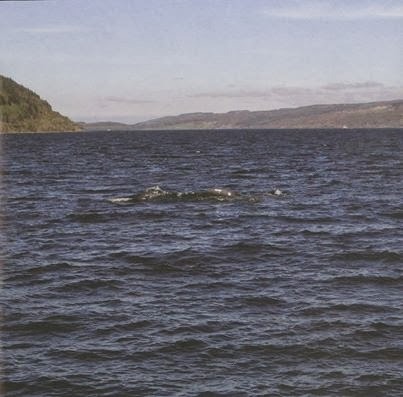 Of course, people have attempted to point out strange objects on Loch Ness from satellite images before, but nothing that looks conclusive. Searching the loch from above has been attempted in a minor way in the past, but it is an expensive way of doing it. Maybe one day, we will have a satellite webcam feeding images of Loch Ness every time it passes overhead to a worldwide audience of hunters. To round things off, this item appeared on eBay bringing back childhood memories of more feverish days. It is the Daily Mail from November 25th 1975 as interest continued to mount about the Rines underwater photos. A mere snip at $198!